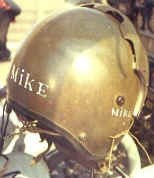 Crewman's Helmet. Sometimes painted with crewmembers name or special artwork. The M60 machine gun was the main weapon used by Scout door gunners. The M-60 was suspended from the rear door by a bungee cord. This allowed maneuverability to all areas outside the LOH helicopter. A C-ration can was used to help guide the ammunition into the firing chamber and often times jammed. Gunners learned to adjust the feeding and eliminate potential gun jams. Spare barrel, firing pin, and feeders were often carried along and replaced when the weapon was wearing down. The M-16 was the primary weapon during the Viet Nam war. The Scout door gunner often times carried the M-16 behind the rear seat as a secondary weapon if the M-60 should jam in a confrontation. It was also a great weapon to take along in the event of being shot down. 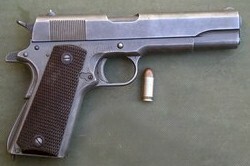 The Cold .45 was the preferred sidearm of most door gunners. Was quite a wallop at close range, but lacked accuracy and impact for targets at a distance. The Smith & Wesson .38 caliber revolver was a very versatile and lightweight handgun. Used by most pilots. 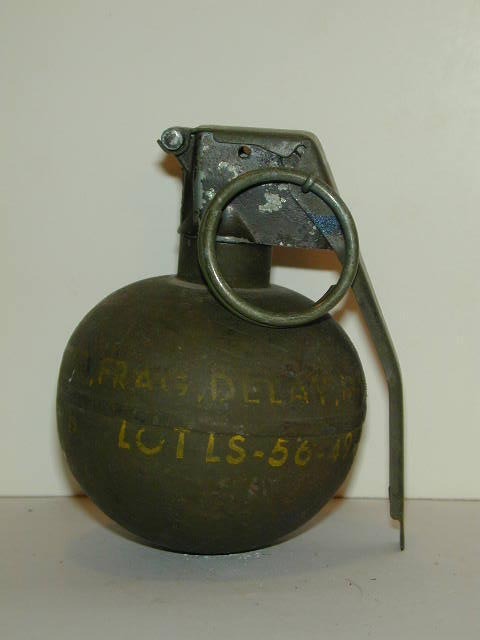 This was the grenade typically used early on in the Viet Nam war and was soon replaced by the M67. These small, baseball, shaped grenades were the choice of the Scout door gunner. They had great rolling ability and were easy to handle in the back seat while the main focus was on the use of the M60. A box with as many as 20 frags was not uncommon to carry on a mission. The MK3A2 concussion grenade, is designed to produce casualties during close combat while minimizing danger to friendly personnel. The grenade is also used for concussion effects in enclosed areas, for blasting, or for demolition tasks. It was very effective against enemy soldiers located in bunkers, buildings, and fortified areas. Also quite effective in persuading the enemy to surface when using evasive tactics such as breathing through bamboo tubes while submerged in rivers and streams. Smoke canisters were used primarily to mark a target area for our gunships. 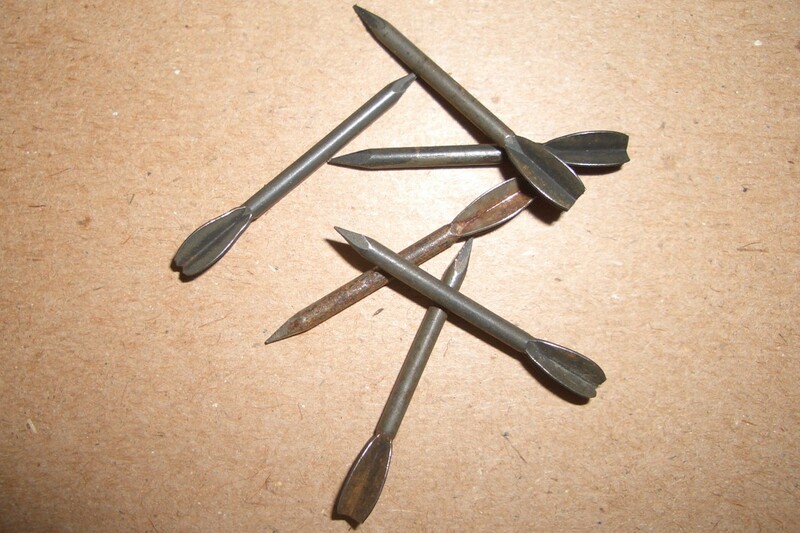 They were also used by ground troops to indicate their location. Smoke was also used to provide wind direction for helicopters flying into a LZ. Smoke came in Red, Yellow, and Purple. It was not uncommon to carry up to 10 different smoke canisters. The incendiary canister was seldom used. It was sometimes dropped into locations where weapon cache's were suspected. This device was useful in creating havoc on metal objects because of it's intense heat. CS or Riot gas was quite effective in persuading hiding enemy or suspected civilians to come out into the open. Unfortunately, the CS canisters were hot enough to cause fire to dry hootches or surrounding areas. This gas caused severe burning to the eyes and mucus areas of the body. Throughout the course of a mission, many CS canisters could be used. White phosphorus grenades were used sparingly because of the destruction it carried. This grenade type device was used primarily to destroy camouflaged hootches. It would burn anything it came in contact with. The only way to stop the burning was to smother the phosphorus. It was quite a devastating weapon and as many as 4-6 were carried on each Scout helicopter. The M79 was a secondary weapon for the door gunner. Allowing for grenades to be launched into small areas without risking the safety of the Scout crew. 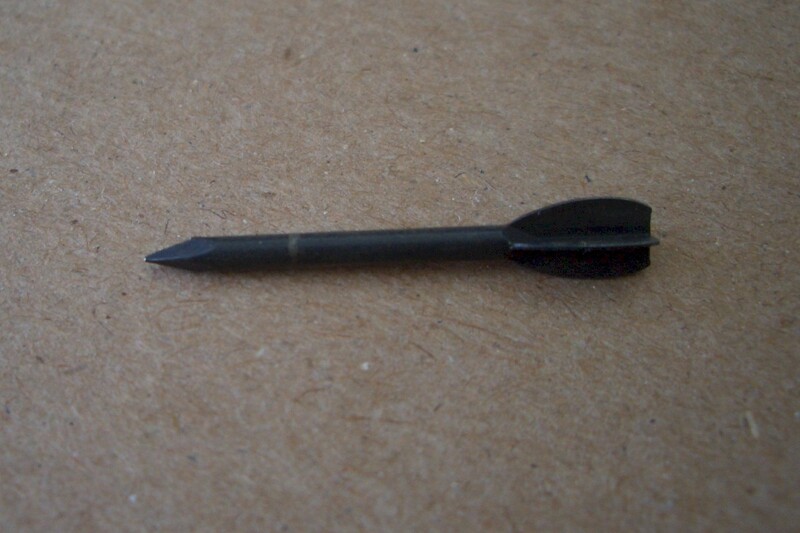 The projectile came out of the barrel with a spiraling trajectory to the target. The shells were small and easily transported. 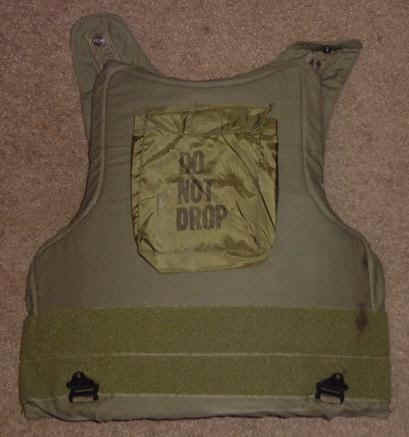 The Kevlar vest was used by all helicopter flight crews. Many crewmembers also put a vest under their seat as a precaution. Although it was heavy and somewhat cumbersome, it served it's purpose and saved many lives. 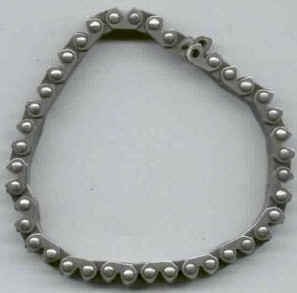 The helicopter tail rotor chain bracelet was worn my many crew chiefs and gunners of helicopters throughout Viet Nam. They were very difficult to come by and were a treasured item. Here are some fleshette's... remember these? The concept of the door gunner originated during the Vietnam War, when helicopters were first used in combat in large numbers. The original personnel who served as early door gunners aboard CH-21, UH-34, and UH-1 helicopters in Vietnam, were enlisted men, with a designated and specially trained crew chief serving as both the aircraft's maintenance manager and a door gunner. Normally, a second enlisted soldier served as a second door gunner (such as on a UH-1, and UH-34, which both used two gunners one on each side of the aircraft). Later, as the war progressed, the door gunner position sometimes used a non-aviation rated/trained soldier or marine, that volunteered for door gunner duties. For the majority of the Vietnam war, the principal weapon of the door gunner was a medium machine gun (MG), initially, a M-1919A4 .30 caliber MG, and soon thereafter, the M-60 7.62mm MG became the standard helicopter door armament system. Initially however not all helicopters were armed or outfitted with a dedicated MG for door armament. For example the very first U.S. Army helicopter units, flying CH-21 helicopters, that began flying combat missions in Vietnam in 1962 didn't. Therefore door gunners on Vietnam photographs are sometimes seen using an M1 Carbine, an M14 rifle, or an M16 rifle, as their only weapon. Initially, the door gunner's MG weapons were mounted on swiveling mounts (on a pintle mount) in order to retain and steady the door armament weapon. As the war progressed, using bungee cords to suspend/retain the MG became a common practice, as the newfound maneuverability of these "bungeed" weapons allowed for increased firing angles. However some door gunners simply continued to hand-wield the weapon for a maximum level of maneuverability of fire. This practice was commonly termed as using a Free 60. Door gunners were normally restrained for safety within the aircraft, by either using a standard lap belt, or if the gunner wanted freedom of movement within the aircraft while still being retained, he used a monkey harness, which was a GI safety harness worn on the torso, and anchored to the aircraft floor, or cabin wall. The monkey harness allowed a door gunner great movement, including to lean outward on the helicopter skids, to get a better firing angle. The door gunner position was not a particularly popular one, due to the exposed position of manning a machine gun in the open door of a helicopter. According to popular legend, the door gunner on a Vietnam era Huey gunship had a life-span of 5 minutes. This was obviously exaggerated but displays the hazards of this particular military job at the time. Today, helicopters like the UH-60 have two machine guns firing out of two windows located behind the pilots. The CH-46, CH-47 and CH-53 have an additional gun that is fired from the rear ramp. The UH-1 (still in use by the U.S. Marine Corps,as the UH-1Y) is still manned as it was in the Vietnam War, with the gunner firing from the open cabin door.